Welcome my lovely readers to the Blogger Book Fair of 2013! I must give a shout out to the amazing Kayla Curry for setting this all up! Please check out my blog each day from Feb. 7-10 for some interviews, guest posts, and giveaways! Today, I had the privilege to interview Kyra Dune, author of "Shadow of the Dragon." 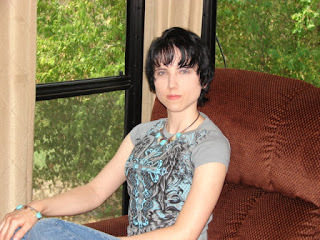 Enjoy the interview and be sure to check out Kyra and her other novels! Because there's nothing else I love more. All I need is a couple of bottles of water and some music and I'm ready to go. Most days I write for 2-3 hours of a morning, 2 hours of the afternoon, an hour and half of the evening, and then an hour at night. The final draft when everything is coming together and it finally starts to feel like a story. What is your book that you are promoting about? It's about a young woman whose world is gripped in the thrall of an endless winter. When her home is destroyed by a dragon, she and her younger brother must strike out across the frozen wasteland in search of civilization. Why do you write for the Young Adult audience? I never planned to write YA books, they just seem to come naturally to me. Just keep trying. No matter what hurdles might get in your way, if you really want something go for it even if it seems impossible. I'm working on five projects at the moment. Two adult books and three YA. If you stranded on an island and you can only bring 3 books and one CD, what would you bring and why? Books: The Stand by Stephen King, Battlefield Earth by L. Ron Hubbard, Dragons Of Summer Flame by Margaret Weis & Tracy Hickman, because I love all three of these books and they're really big so it would take awhile to read them. CD: Phobia by Breaking Benjamin because that's my favorite band. 1. McDonalds or Burger King? Neither. Yuck. 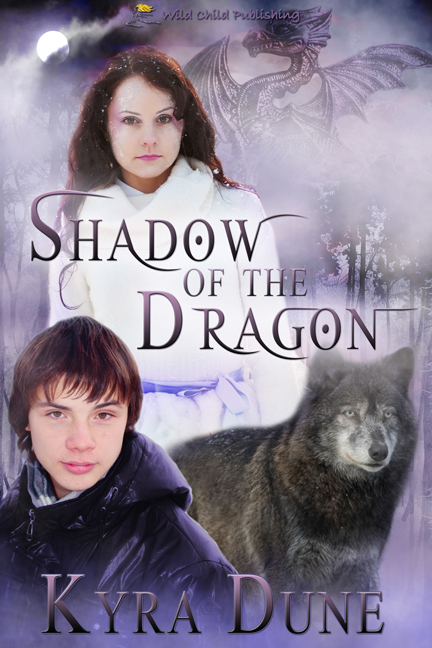 Be sure to check out "Shadow of the Dragon."